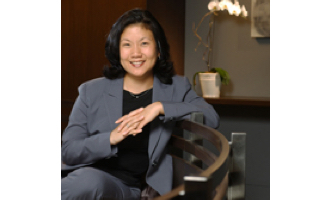 Our latest featured speaker is Diana Iketani Iorlano from Manatt, Phelps & Phillips, LLP! Diana will be speaking for us at our upcoming 13th Annual CA Superior Court Boot Camp in Los Angeles on October 12th! Diana has previously spoken for us at our 12th CA Superior Court Boot Camp in 2017 where attendees raved about her. We can’t wait to have Diana back! Diana Iorlano’s practice focuses on complex commercial litigation, regulatory and compliance issues, and administrative proceedings. She has litigated and negotiated matters for clients in technology, entertainment, media, financial services, real estate, insurance, retail, healthcare and other industries. Diana’s practice includes privacy and data security, entertainment litigation, trademark and copyright, unfair competition, and government and regulatory actions. She is actively involved in all phases of litigation, from pre-litigation counseling through trial and appeal, in state and federal court. She also served as Manatt’s Chief Recruiting Officer (CRO) for two years and managed recruitment of the firm’s professional talent at all levels, including equity and income partners, associates, summer associates, managing directors, advisors, analysts, and consultants. Diana previously served as a volunteer temporary judge for the Los Angeles Superior Court from 2004 to 2010. Germain Labat is our Latest Featured Speaker!